Building a great website is just the beginning. It will not serve your business unless you can get traffic from Google, Yahoo, and Bing, and you can convert those visitors into customers. Your website’s ranking with the search engines is a critical factor in building your online business. Search engine optimization is a process that improves your website’s content, structure, meta data and more to gain the attention and a stamp of credibility from the search engines. Kennedy Media’s SEO philosphy is to persue and execute long term strategies to achieve long term results. We pride ourselves in establishing long term relationships with our clients. That same philosophy also applies to our SEO services. There are many SEO companies offer a variety of solutions which will effectively drive an initial spike of traffic, but once that dies down there is no long term benefit to it, and your on your own. Kennedy Media Group will never use these types of spam tactics that can compromise your website’s long term success. 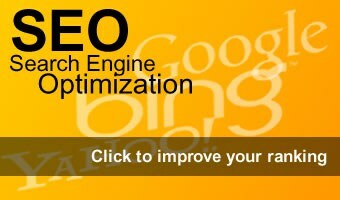 Search engine optimization has so many variables, that it can seem overwhelming. Don’t stress about it, just enlist specialists like Kennedy Media who can produce effective results without all the stress. Contact us about our SEO services, we’d be happy to discuss your situation and how we can help.